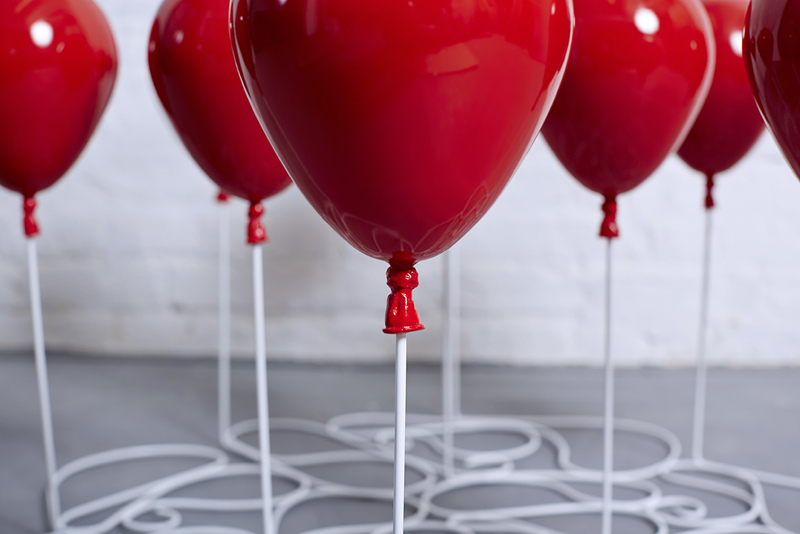 Name things you would base on balloons! Was a glass surface one of your choices? No? 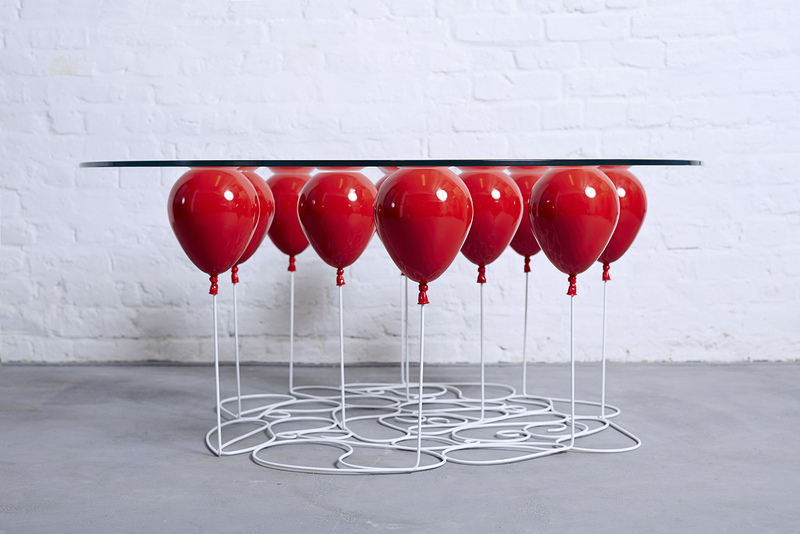 For Christopher Duffy of Duffy London definitely was though, as he designed a glass tabletop supported by 11 helium balloons. Even though you’d get the impression that this glass surface is suspended by real balloons, this is all Duffy’s exceptional job in making the balloons look real, as they are actually metallic. 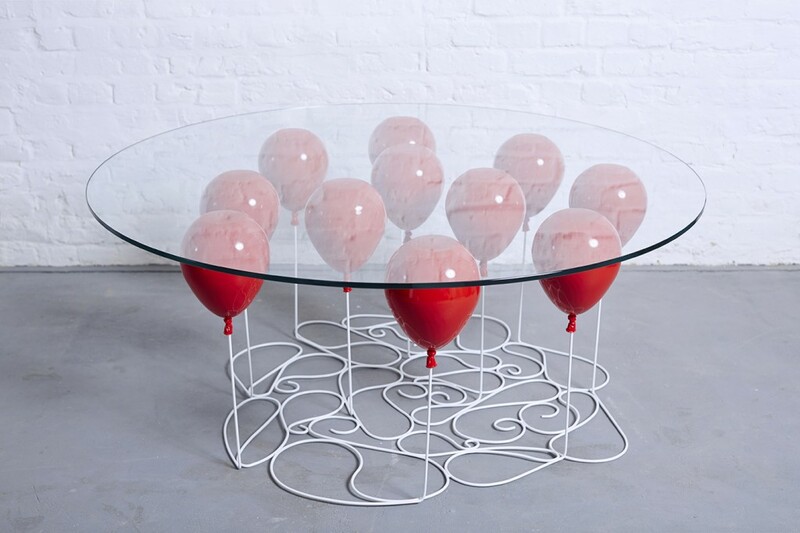 This modern piece of furniture is made out of toughened glass, metal resin composite and toughened steel rods. Attached to the base of the balloons are faux-strings that tether the orbs to the ground, creating a swirling pattern. 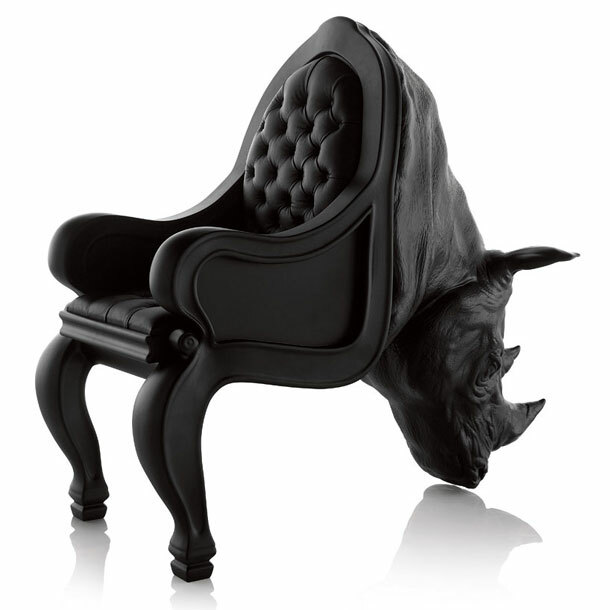 Although all these materials are of durable quality, the piece gives the viewer a sense of weightlessness. 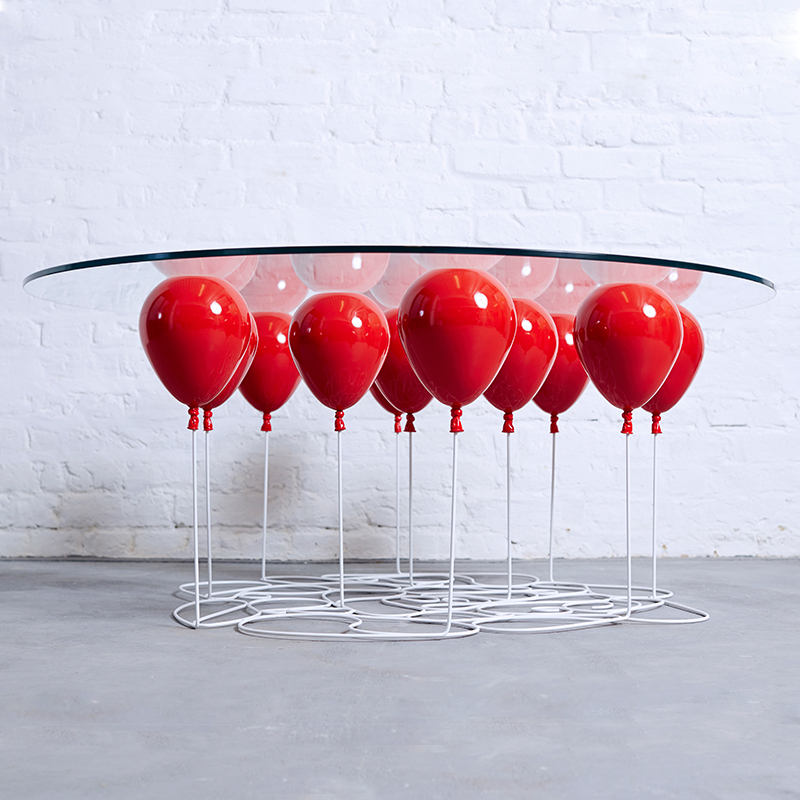 This unique design will be produced in a limited quantity, as the designer plans to make 25 tables with either red, gold or silver balloons.